There is much encouragement these days for governments to improve the enabling environment and particularly the regulatory framework in the hope and expectation that this will lead to increased growth in economic activity – and thus to a more vibrant private sector, more investment, greater competitiveness, more wealth generation, more job creation and more poverty alleviation. There is encouragement, too, to increase private public dialogue and private sector advocacy in the belief that this will assist the public sector to improve the enabling environment. 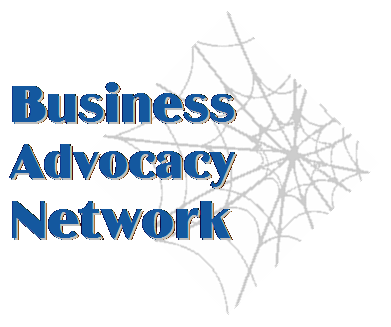 Business membership organisations (BMO) engage in dialogue and advocacy to influence those making public policy. Public private dialogue is a pre-requisite for effective advocacy. It implies regular contact between the public and private sectors, to ensure that each party understands the other and that neither is taken by surprise when issues arise. Dialogue implies a desire to have a conversation, to understand each other's position and to reach a consensus. The ideal position is public and private working together in a spirit of partnership, recognising that there will not always be a meeting of minds. But public officials will gain immeasureably from the knowledge and experience that business associations can bring to the table. This website has been created as a resource to support individuals and organisations who are engaged in public private dialogue and private sector advocacy. Here you will find links to business advocacy funds and other initiatives which are supporting business associations and others to engage with the public sector in an effort to improve the investment climate.